The halls of McClintock Middle School were bustling with excitement as eighth grade students wondered to class before the ding of the bell. Meanwhile, 30 students sat patiently in the computer lab with the overhead projector poised and ready for Charlotte’s first Character Playbook Live which gave students a special interactive activity and digital question and answer session to engage students in conversation on character and why it’s important. Across town, at the Bank of America Stadium, former Carolina Panther, Chris Draft prepped his screen for the live event hosted by the Carolina Panthers, United Way and EverFi. 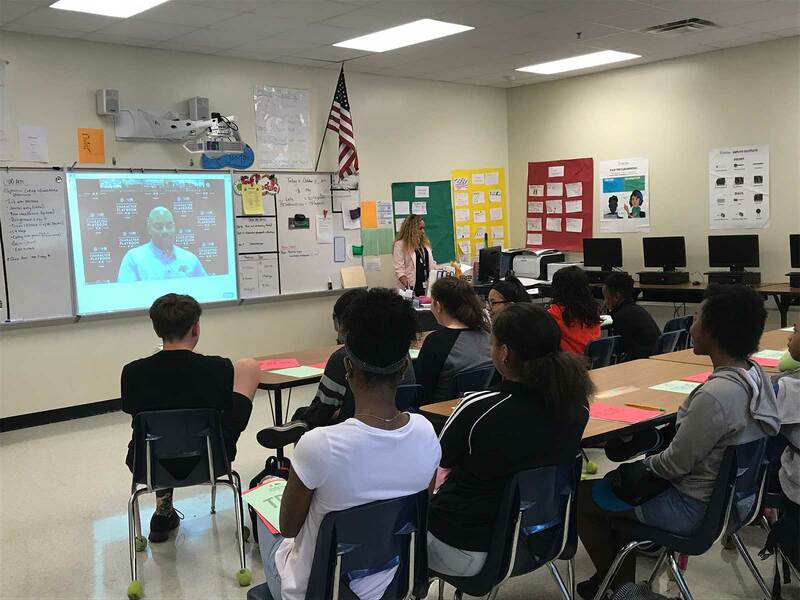 When Chris entered the video conference call, he was greeted by hundreds of faces from over 10 middle schools across North Carolina. 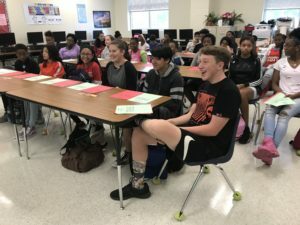 Representing the Charlotte area, McClintock Middle School asked, “When you get mad or upset, what do you do to calm yourself down?” Chris responded with, “First, I take a minute to understand why I am upset. Why am I mad? It’s not worth it to just get mad and upset and just act. It’s about understanding what’s wrong. You guys watch us play football all the time and if we just got mad every time something bad happened we’d never fix it. So what’s important is don’t just act out. You’re going to get mad. There’s going to be things that maybe you don’t like. What’s important is to figure out what you don’t like and figure out how to fix it.” To view the full Character Playbook Live with Chris Draft, click here. Character Playbook is a national partnership between United Way and the National Football League that is designed to bring character education into schools. The program helps students cultivate and maintain healthy relationships during their critical middle school years through a digital education program. 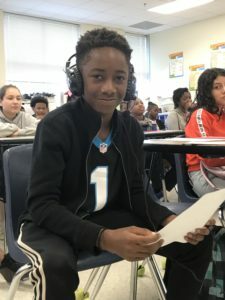 With Character Playbook reaching more than 13,800 students in 64 schools last year, United Way of Central Carolinas is excited to watch Character Playbook continue to grow and make positive changes in youth.